Fannie Mae will be releasing their Desktop Underwriter (DU) Version 10.0 over the weekend of June 25, 2016, which will expand the credit underwriting abilities of the system. 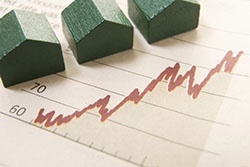 One of these updates includes looking at a borrower’s credit profile trends in determining risk. This trended data will look at factors such as monthly payments for individual credit lines. With all other factors equal, one borrower that makes above the minimum payment each month and the other that makes only the minimum payment will not be considered equal anymore. The borrower that pays more than the minimum monthly payment will be viewed as lower risk and will typically get a better rate. This gives borrowers more power in improving their DU credit risk assessment in a shorter amount of time. In an article in The Mortgage Reports, this should increase the amount of borrowers that will fall within the highest credit tier from 12 percent to 21 percent of the U.S. adult population. Borrowers that fall within the highest tier are offered the best rates on mortgage loans as they are considered lower risk. This will also benefit the lowest tier borrowers who may not have otherwise qualified for a mortgage loan.